When you go to the French Island La Réunion in the Indian Ocean, you will enjoy the landscapes (sea and mountains), good and fresh food, kindness of the inhabitants, and for sure, the rhum arrangé. 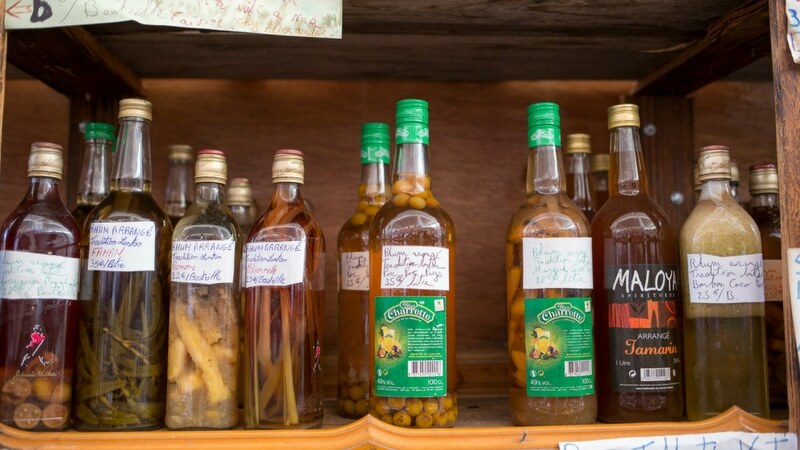 Rhum is not peculiar of Reunion, you’ll enjoy very good ones when going to Martinique or Guadeloupe, for example, but they have a tradition that I’m sure you will enjoy. In a lot of restaurants, at the end of a meal, they will offer you a small glass of rhum arrangé they have made themselves. It’s a kind and warm attention. 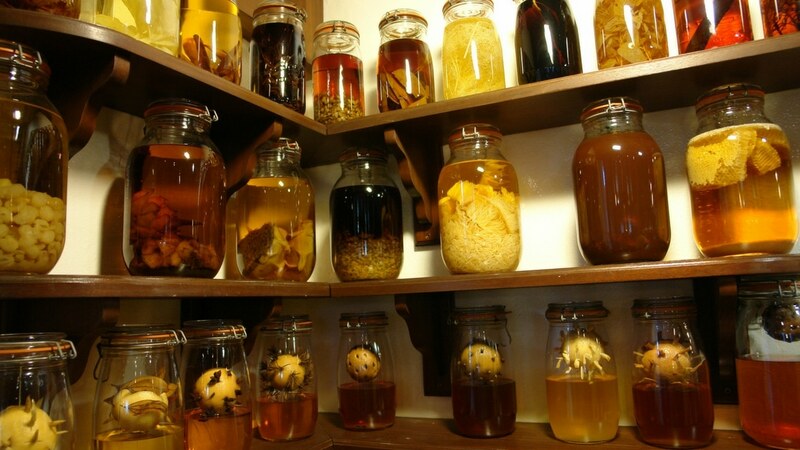 Like the natives of Reunion, who mostly drink rhum in that way, you will appreciate that the fragrance and the taste of rhum are accentuated by the flavor of the spices and/or the fruit macerated in the rhum. Making a good rhum arrangé is like science. The base is a white rhum (either a rhum made from the distillation of sugar cane juice, or a rum made from syrup which is one of the leftovers of the sugar production), with a titration of about 50°. Then you have some ingredients (fruits and/or spices like vanilla, cinnamon, but also mint, coffee, and local spices (such as bois bandé, chili..). Their flavors will diffuse in the rhum. The freshness and the quality of the fruits. They have to be mature but not too ripe. You can also use fruits from a can but it is not as good. The quantity of fruit has to be the same as the quantity of rhum. The storage place has to be at least at ambient temperature, as the warmth helps the maceration. The duration of the process of maceration varies from two weeks (citrus fruits) to more than six months (such as pineapple, vanilla). The quantity of sugar. It helps to spread the taste of the added ingredients. Cane sugar is mostly used, but honey or agave syrup can also be used. And the most difficult part during the maceration: taste the mix and adjust if necessary. If you don’t trust yourself with the meticulous process of making rhum arrangé, you can buy some mix – you just need to add it to some rhum and then wait as instructed. You can also try rhum arrangé made by Isautier, one of the three distilleries that are still active. They offer several flavors (such as banana, ginger, vanilla-coffee), their taste is very well balanced and stable. One of the specialties of La Reunion is the rhum arrangé Faham. The added ingredient is a wild endemic orchid you can only find in Reunion. As it is protected, you can’t just pick some in the forest. Only the lucky ones who have some in the back of their garden can make it. And it’s the best! To me, this rhum has an almond flavor, it is really something you need to add to your bucket list.